Yours truly is actually a macroeconomist, indeed with a knack for financial markets, but still; a macroeconomist nonetheless. However, you would not have gotten that impression from the writings here end last week where I worried a lot about the worry of financial markets. I still do, worry that is, mostly because we are in a very delicate situation where a severe shock in financial markets can easily and quickly be transmitted into the real economy. Moreover and as Edward eloquently conveys in his recent post the structural challenges we face are complex and difficult. Yet, in terms of the immediate evolution in the real economy, and in case you had not noticed, the recovery is coming along just fine. Of course, it is not difficult to pick the positive discourse apart and this applies especially to the Eurozone there is a bound to be notable divergence between the growth rate of economies. 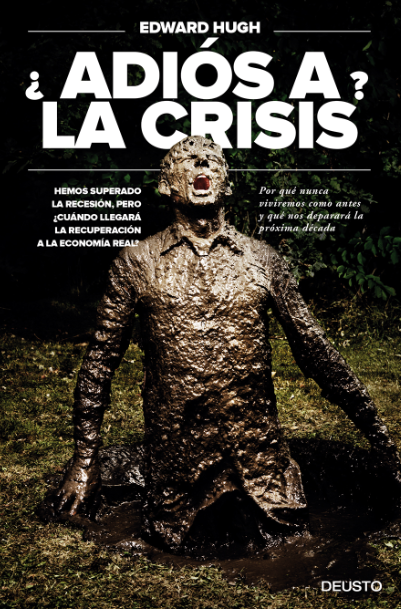 In particular, it does not take much Roubinesque imagination to see what awaits the famed Eurozone periphery (Spain, Portugal and Greece) who are now about to embark on a very brutal spell of internal devaluation; kind of like in the Baltics who are undergoing the same . This comparison may of course be inappropriate for a number of reasons, but it provides a good yardstick with which to look ahead into especially 2011 where the first part of austerity measures will really start to bite. Whether the Eurozone "core" remains enough momentum to pull the Eurozone forward is really not the important issue here. The real problem here is that from here on imbalances (not just external) will compound. In the lingo of development economics the convergence which was thought inevitable and on track is now about to unravel. In this respect, the comparison with key parts of Eastern Europe is well chosen I think. On an annual basis leading indicators for the major emerging economies as well as the OECD are coming in very strongly for Q1-10 and also over the quarter (i.e. from Q4-10) do we observe growth with the notable exception of China where activity seems to levelling off a tad going into 2010 on the back of continuing measures by the government to restrain the economy. It is difficult to deny that the leading indicators tracked by the OECD seems to be flattening moving into Q2-10 and it will naturally be interesting to see whether momentum will be sustained. As ever, divergence both in levels and actual growth rates will be paramount to factor in, but I am very confident that we are not going to see a double dip recession in for example the US let alone the emerging market edifice in 2010. In Europe, the tug-of-war will between growth in France and Germany (with the latter exporting to EMs as the only real source of growth) and a continuing slump in Southern Europe. However, since 2010 budgets are already passed to indicate very stimulative policies throughout Europe the growth momentum will be strong in 2010 although the medium to long term look decidedly awful. As a natural finishing point it should not escape market participants and analysts alike that event risk is currently at a very high level. In many ways, we already have an event in so far as goes the crisis in Europe but I can think of plenty of more sources of potential market destabilisers. The point here is then that at the current juncture the transmission between market distress and the real economy is likely to be strong and relatively quick. In this sense, the recent news that the interbank market is freezing over once again is indicative that not all is well and I am watching this very closely. As such I maintain my somewhat bearish inclination and deep skepticism for where aggregate demand is actually going to come from in the medium to long term; this especially the case in Europe whereas I am much more constructive on emerging economies who are, for all intent and purposes, doing well (indeed almost too well in some cases). A number of well known proverbs spring to mind here; is the glass half full or half empty? Is this the end of the beginning or the beginning of the end? Whatever methaphor you prefer forward looking indicators point to strong growth in the first half of 2010 (at least). The key message on the real economy will thus be one of divergence and especially how some economies are doomed to deflation and negative growth in nominal GDP (in the context of internal devaluation) while others will fly on the back of excess global liquidity. For me, this is the main meta-discourse currently describing the global economy. - Q1-10 GDP is only available for Lithuania so for the two others the calculations ends with Q4-09. 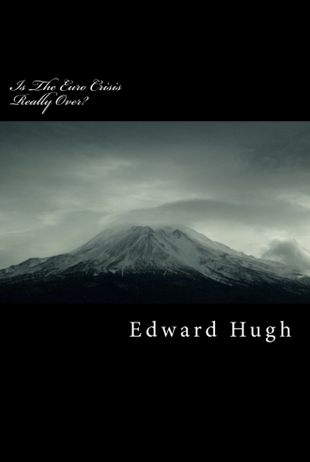 Edward's latest book on the Euro crisis. Welcome to Global Economy Matters. Posts on Global Economy Matters are written by macro economists and policy analysts who have a common interest in global macro and economic policy. Claus and Edward's "Baker's Dozen"
Claus Vistesen and Edward Hugh are proud and happy to announce that they are now working as "featured analysts" with a new Boston-based start-up - Emerginvest. Claus and Edward have used a new, updated, methodology in order to identify a group of 13 emerging economies which we consider are going to outperform both the rest of the emerging economy group and the OECD economies in terms of a number of key performance indicators over the 2008 - 2020 horizon. Through our association with Emerginvest we hope to develop performance indicators which will confirm both the relevance and validity of the selection procedure adopted. We would like to point out that we have absolutely no financial connection whatsoever with Emerginvest - although we do heartily endorse what they are trying to do. In particular we see the move by the investment community towards emerging markets as one of the most effective and direct ways to address those issues of inter-country wealth and income imbalances which have plagued our planet for so long now - namely by getting the money from the rich who have it to the poor who need it. Sending investment to emerging economies is also a way of addressing the underlying imbalances which exist between the relatively older populations of the developed economies who increasingly need to save, and the relatively younger emerging economies who can benefit from the investment of those savings in their countries. So in a way you can both ensure the future of your own pension and help attack poverty at one and the same time. This type of possibility is normally known in economics as "win-win". More theoretical background on the methodology behind this choice can be found across the posts in our Demography Matters and Global Economy Matters blogs. The oldest known source and most probable origin for the expression "baker's dozen" dates to the 13th century in one of the earliest English statutes, instituted during the reign of Henry III (r. 1216-1272), called the Assize of Bread and Ale. Bakers who were found to have shortchanged customers could be liable to severe punishment. To guard against the punishment of losing a hand to an axe, a baker would give 13 for the price of 12, to be certain of not being known as a cheat. Specifically, the practice of baking 13 items for an intended dozen was to prevent "short measure", on the basis that one of the 13 could be lost, eaten, burnt or ruined in some way, leaving the baker with the original dozen. 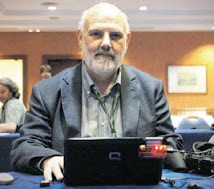 Election Resources On The Internet is a site run by Manuel Alvarez Rivera which provides links and commentary related to regional and national elections across the globe. What A Difference A Day Made!